Hello. I don't know what to put here. The thing is I don't know what to work on. Tell me in the comments. 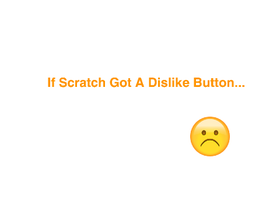 Scratch Gets A Dislike Button?! ADD ANYTHING AND INVITE EVERYONE!! !